Ganesh Chaturthi - Celebrating a 'new' begining! Ganesh Chaturthi is the celebration of a new beginning. It is said that before one starts afresh, worshipping lord Ganesha is of utmost importance. His blessing not only gives us the strength and wisdom to stride forward, but also evicts any obstacles that might come in the path to success. This festival thus symbolizes a new dawn. 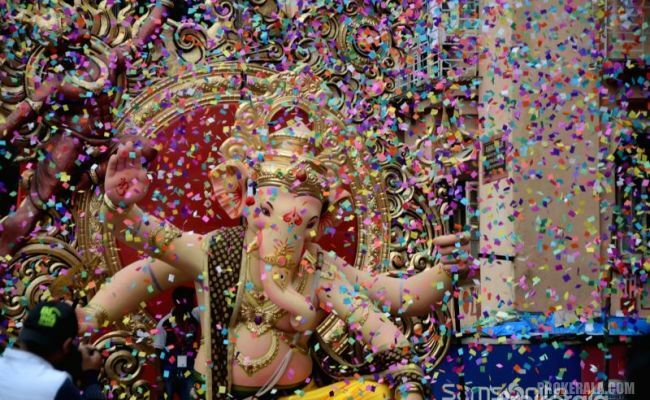 When is Ganesh Chaturthi celebrated? Ganesh Chaturthi starts on the day of Shukla chaturthi in the month of Bhadrapada according to the Indian calendar. According to the English calendar, it usually falls between August 19 and September 20. The festival continues for ten days ending on the day of Anant Chaturdasi. According to mythology, Ganeshji was created by Goddess Parvati with sandal paste that she used for her bath. Being the deity of power, she evoked Ganesh with such strength that even the biggest of Gods could not face him at war. During such a war between the Gods, Lord Shiva accidentally chopped of Ganesha's head that elicited Parvati's rage. To satisfy his wife, Lord Shiva along with the other Gods fixed the head of a baby elephant on Ganesha's trunk. Hence Lord Ganesha with the elephant head was created. On this auspicious day of Ganesh Chaturthi , Lord Shiva declared that Ganesha will be the only deity who would be worshipped ahead of any other God. He would always be worshipped as a symbol of knowledge, wisdom and strength. Ganesh Chaturthi is also known by other names. 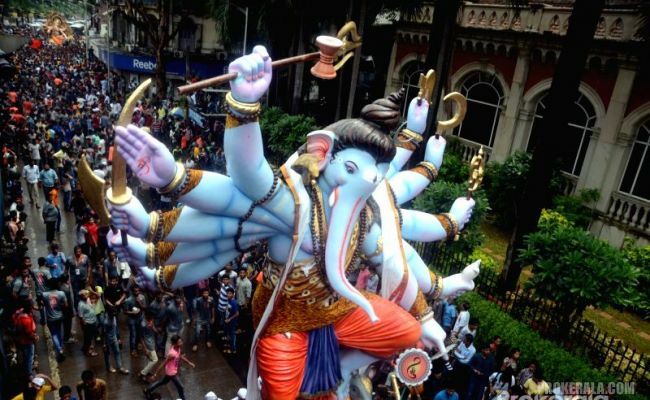 It is popularly known as Ganeshotsav in Maharashtra and adjoining areas. Ganeshotsav is the biggest festival in Maharashtra. Different types of statues of lord Ganesha are made with clay and colour for this festival. The worship begins with the priest chanting mantras to invoke life into the idol and the Lord is bathed with sandalwood paste and kumkum. This is known as 'pranapratistha'. Different tributes are offered to the lord that include the traditional 'modak' which is a conical sweet made up of coconut and jaggery. Other things like coconut, jaggery, durva (a special type of tri-bladed grass) and red flowers are also used for the puja. Traditionally, 21 modaks and 21 durvas are essential for the puja. On the 11th day, the idols are bid adieu by immersing them in water. This 'visharjan' is preceded by last rites of worshipping the deity with coconut and flowers; this is usually associated with long processions and huge crowds. In Andhra Pradesh, along with the usual clay idols of Ganesha, turmeric and plaster of paris are also used to make idols that are then worshipped alongside. Special sweet meals are prepared for the puja. Kudumu is the local version of 'modak' there; other items include panakam (a cardamom flavoured spicy drink), vadapappu (soaked lentils) and chalividi (a sweet rice preparation). Excited to try out a Modak recipe?We've got a good one for you! Ganesh Chaturthi is not only the most coveted festival that is celebrated in the western part of India but is also a source of work and business to many artisans across the region. Unwind with vacations in Kerala under ₹10,000!